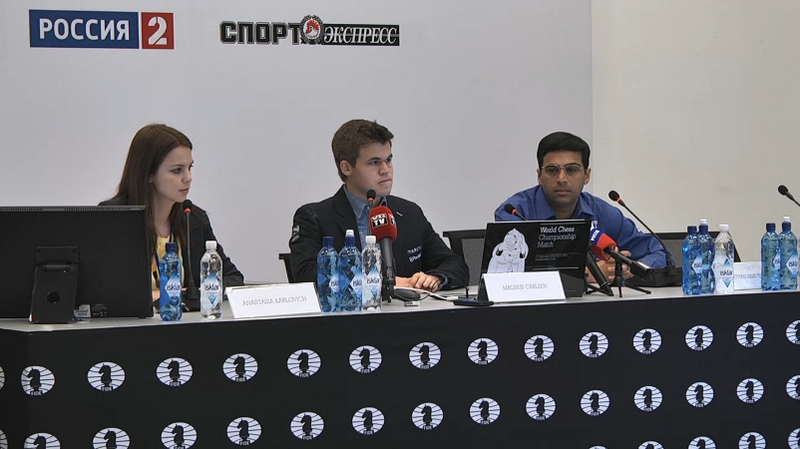 First the good news - the Carlsen-Anand World Championship match in Sochi will now last longer than in Chennai and go the distance unless Magnus Carlsen wins at least one of the next two games. The bad news? Game 9 was the kind of non-event that gave the chess version of the Berlin Wall almost as a bad a reputation as the one that once divided the German capital city. 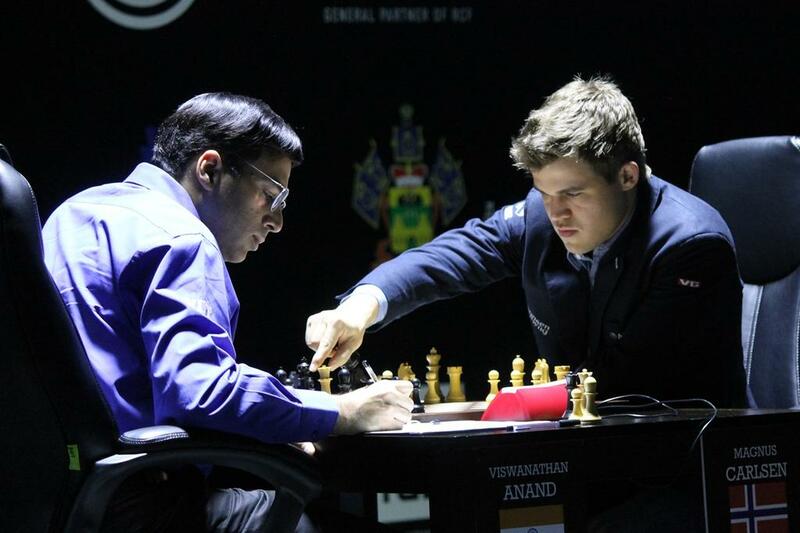 Vishy Anand was better prepared with Black and Carlsen saw no reason not to inch closer to the title with a draw. Even Magnus joined in at the end! I’m not going to sit and discuss scenarios with you here. There’s a match to play. It’s always better to be able to press a bit with White but on the other hand every half point brings me closer to 6.5. It’s a tough match. Right now it looks like it’s going the distance. I think my play has been quite inconsistent both in terms of preparation and overall play. I think you can never be completely prepared. The nerves are always going to be there, but I’ve been in this situation before and, after all, the rules are still the same regardless of the match situation and what part of the match situation you’re in. In Friday's Game 10 Anand will have the white pieces are will surely go all out for a win that would set up a grandstand finish. Don't miss the action here on chess24!